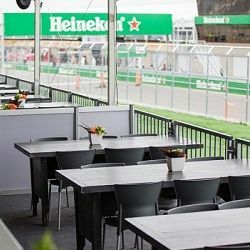 On race weekend, the City of Montreal is overtaken by Formula One fanatics; experience the buzz in this great city with our range of Montreal F1 hospitality packages. The Canadian Grand Prix gets into action on the artificial island of Notre-Dame in the Saint Lawrence River. 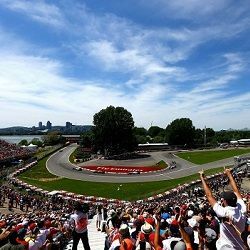 The Gilles Villeneuve Circuit is a perfect tandem of high-octane racing combined with breath taking scenery; make the most of it with an exclusive F1 Hospitality Montreal package. Expect spectacular viewing, a weekend of fresh, delicious food and unlimited drinks at the bar. We arrange your accommodation at the finest hotels; soak up the party atmosphere because the 72 hours you are there will fly by; don’t miss a second of fun with the Montreal GP hospitality. The Elite Restaurant is located in the centre of the Elite suites complex offering space and lu…. The Senna suite is located inside the circuit, close to the first turn, & after the startin…. 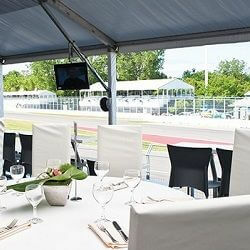 One of the finest locations to watch the Canadian F1 Grand Prix and a perennial favourite of ou…. 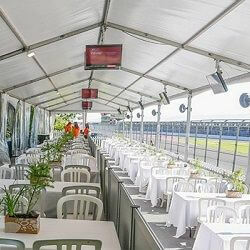 A great value hospitality option overlooking the pit exit and grandstand and next to all the ac….